In my experience, the current state of employer branding is dismal. I have been developing employer branding solutions since before the advent of electricity it seems — back when it was called Employer of Choice. Since then, we have shifted to the term employer branding, but unfortunately, little else has changed for the better. In particular, I am continually shocked and disappointed when I routinely encounter employer-branding efforts that completely lack accountability, because they don’t include metrics that prove the resulting measurable business and recruiting impacts. Employer branding should not be exempt from the rules of business where every function has to be accountable for showing the direct benefits to the firm that resulted from the money invested in it. If you’re not familiar with employer branding or EB, it’s an integrated effort to spread the word in an authentic way about the characteristics of the firm that make it a desirable place to work. To learn the right way to do branding, first examine the more business-like, better respected, and better funded product brand function. 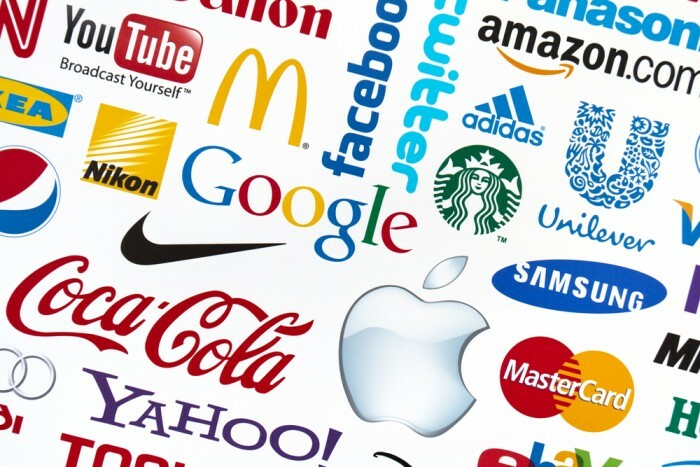 Product branding professionals are extremely accountable because they routinely measure how each percentage point of improvement in product brand strength results in 1) increased sales of both existing and new products, and 2) the firm’s ability to charge higher prices for its branded products. In sharp contrast, many in the employer branding field have chosen to adopt a softer, less accountable approach that doesn’t measure business impacts, recruiting impacts, or employer brand strength in any credible way. The most important omission in EB by far is leaving out metrics that cover business impacts. Even though those impacts, including better-performing new hires, an increase in workforce productivity, and increased retention among your current employees may be real, they are routinely not measured. Adding the appropriate EB business impact metrics allows you to show executives that with every percentage point of improvement in your employer brand strength improvement, you generate a certain dollar value of significant business impacts. Unfortunately, most in the EB field, when they use metrics, confuse intermediate or tangential results (i.e. increased trust, engagement, or even happiness) with the much more important business impacts on recruiting, retention, and increased worker productivity. Even fewer in this field make an effort to convert these business impacts into dollars. With this conversion into dollars of revenue, you can also show that each dollar invested in EB has a higher business impact and ROI than other HR programs so that your EB effort can receive better funding in the future. Once you accept the fact that employer branding must produce and then measure business impacts, work with the CFO’s office to identify the specific set of reporting metrics that will impress your target executives. The CFO (the king of metrics) can also help you design credible measurement and quantification processes that can survive executive scrutiny and criticism. Every firm should select its own group of EB metrics from the provided list of business impact metrics. Here is a list of the top business impact metrics you should select your final metrics from. In this list, the most powerful business impact metrics are listed first. Business impact — Better-performing new hires that result from your branding effort — new hires who were recruited during time periods when your employer brand was the strongest should perform at least x percent better on the job than those recruited under a weak EB. You can’t directly measure the increased performance of new hires in every job very easily. However, you can use the percentage increase in performance-appraisal scores of new hires as an indication of increased performance. In addition, you should, at least, measure the output improvement in jobs where their output is already measured and quantified in dollars (i.e. sales, business development, customer service, and collections). Hiring better-quality candidates will also result in an overall increase in employee productivity because these new hires will reach their minimum productivity level faster and make fewer errors during their break-in period. You can’t take credit for better0performing hires unless you are sure that these candidates applied and accepted because of the strength of your employer brand. Proving that correlation requires that your applicants and new hires acknowledge that your brand messaging influenced their job seeking decision-making. To prove that relationship, simply survey new hires during onboarding and ask them what job-acceptance factors caused them to apply and accept. If those acceptance factors match your firm’s brand pillars (your firm’s key selling points), you have been successful and you can justify taking credit for recruiting these better-performing new hires. Business impact — An increase in overall workforce productivity — if you’re hiring numerous better-performing new hires and you are retaining a higher percentage of current top-performing employees, over time the output value of your employees will increase. That average yearly productivity level of your workforce is most easily measured using a revenue-per-employee metric. This is calculated by dividing your firm’s total revenue by your number of FTE employees. Obviously, as your brand strength increases and you hire a higher volume of new, better-performing employees, during the following year, your workforce productivity will increase. And because revenue per employee is already calculated in dollars, you can easily quantify the dollar value of that performance increase. You can compare your revenue per employee to that of other firms on the site MarketWatch.com. A great employer brand means that fewer jobs will go unfilled. And if these formally never-filled jobs are critical jobs, being able to fill them all will mean that your overall workforce productivity will increase. Business impact — Increased revenue from hires in revenue-generating positions — revenue-generating positions (like sales and business development) provide an opportunity to directly increase corporate revenue. And because a strong EB also attracts higher level performers, better-performing new hires in these revenue-generating positions will also generate a measurably higher level of revenue. In addition, because a stronger employer brand will also increase your offer acceptance rates, you can fill these critical revenue-generating positions faster, which will result in fewer vacant position days when no revenue is generated. Business impact — A high employee referral rate increases productivity — a strong employer brand, coupled with a story inventory, will dramatically increase your employee referral rate. Referrals are critical because almost universally across firms, employee referrals produce the highest quality hires with high retention rates. Together these two factors have the net impact over many referral hires of increasing your firm’s overall workforce productivity. Because employee referrals have a shorter time to fill, positions are vacant fewer days, which also increases productivity. And because they are often cheaper, a higher percentage of referrals will reduce your cost per hire. And finally a strong employer brand will directly reduce hiring costs because there will be less position vacancy days and because of the flood of high-quality applicants, you won’t need to use expensive agencies or executive search firms nearly as often. Business impact — A higher employee retention rate of current employees — as your employer brand strengthens, your employees will be more aware of the reasons why your firm is a great company to work for. That awareness should directly improve your employee retention rate. Retention has a high business impact because the cost (including customer impacts) of losing a top employee may be five times their salary, so quantify the impact of increased retention in dollars. To further strengthen your argument about the importance of EB on retention, you should periodically survey a sample of your top-performing employees and ask them why they stay, using what is known as a stay interview. If they cite your brand pillars among the reasons why they stay, you can take credit for a higher retention rate. You can also ask during exit and post-exit interviews why key employees are leaving, and ideally, none of the major departure reasons will reflect a failure in one of your brand pillars. Business impact — A reduced failure rate among new hires — a powerful EB will attract hires who perform better on the job, but it will also result in the hiring of fewer “turkeys.” This latter category is important because some of the highest business impacts in recruiting are negative. These costs come from new hire failures that occur early on. New hires who must be terminated will make numerous errors that result in lost productivity and negative customer impacts. The management and HR time that must be spent releasing these “failed hires,” and finding better quality replacements must also be considered a business cost impact. Employees who prematurely quit should also be included in the calculation of negative business impacts from failed hires. Having to process and interview a significantly smaller number of weak applicants will also save a great deal of recruiting resources and hiring management time. Business impact — Your applicants come from top firms — all applicants are not equal. When you hire someone away from a competitor, you get the competitor’s ideas and best practices. And simultaneously, the capabilities of your firm increase, while the capabilities of your competitor decrease, a double impact that is not lost on executives. And finally, those top applicants coming from top competitor firms (who would not have come if you didn’t have a strong EB) are an indication that your firm is highly competitive and desirable in your industry. Business impact — A higher ratio of winning head-to-head recruiting competitions — if your executives are highly competitive, you should track your win loss ratio in head-to-head recruiting competitions. This can easily be done if you ask your top candidates what other firms they are interviewing with. With this information over time you can assess the percentage of head-to-head recruiting competitions that you win against your competitors. You can also use LinkedIn to find out where top candidates who you failed to hire went. Executives will be impressed if you win more than your fair share of these head-to-head competitions, at least in part due to your brand strength. Business impact — A positive giveaway/takeaway ratio — once again if your executives are highly competitive, you can show them that you win more than your fair share of the recruiting/poaching battles with your competitors. You can calculate your firm’s competitiveness in recruiting and retention using what is known as a “giveaway/takeaway” ratio. This is when for each competitor, you measure the ratio of top employees who you have recruited away from, compared to the number of your employees the competitor successfully poached away from your firm. A strong employer brand will mean that you successfully recruit away a much higher percentage of the competitor’s employees than you lose of your own. Business impact — EB program ROI — ROI is the most calculated ratio in business because it allows you to easily compare the return on your investment dollar across diverse departments and functions. To calculate this ratio in employer branding, you divide the net dollar return of business impacts from your EB by the program costs. A ratio of over 15 percent demonstrates that you are highly effective in spending company dollars. A heads up: don’t settle with softer intermediate effect metrics — be careful when you’re calculating any improvement in business impacts because there is a tendency in corporate America to accept “intermediate results” in lieu of business impacts. These intermediate effects frequently include higher levels of trust, engagement, satisfaction, or happiness. Because even though these measures might over time eventually lead to business impacts, you should never settle or stop after calculating these intermediate metrics, because although they have value, they are not direct business impacts. Many professionals in the employer branding area make huge mistakes, including confusing viral employer branding messaging with paid advertising. Also, overly focusing on internal employment branding, when the emphasis should be on branding that impacts external recruiting. However, by far the biggest mistake that branding professionals make is that they omit powerful metrics that cover business impacts.